Happy Sunday, everyone! Former Secretary of State and U.S. Senator Hillary Clinton announced her candidacy in the 2016 presidential election, bringing to an end months of speculation and anticipation, but mostly just waiting. 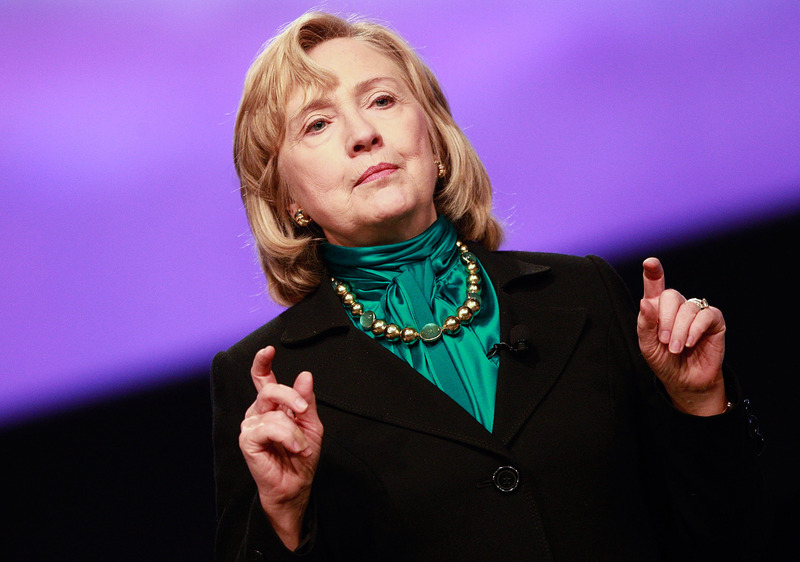 And now, with the wait over, it's time to take some closer looks at the hand Clinton's been dealt, what her odds are looking like this time around — how much money does Hillary 2016 have so far? Well, this much can be said without hesitation: The figure is going to skyrocket very soon, at least if sources near to the campaign are to be believed. As detailed by The Daily Beast's David Freedlander, they're planning to haul in mountains upon mountains of cash — as much as what "some Republican presidential candidates are going to raise the entire cycle," according to the source. And, while another senior Clinton source disputed the Daily Beast report, there can be little doubt that Hillary 2016 would at least like to do better with the money than any campaign ever has. Obviously money and profile aren't everything in a campaign. But the benefits of cash-flush coffers can't be overstated, especially not in this current, virtual free-for-all era of campaign finance. There's also the matter of all that PAC money. For years, the Ready For Hillary Political Action Committee has been raising funds in anticipation of this day, and now their operations will wind down and give way to her full-fledged campaign. Over the course of 2014, Ready For Hillary brought in nearly $9 million, which will be put to the cause — a huge amount for any normal person, though not staggering when compared to where her fundraising will likely finish. For some perspective, the 2012 Obama and Romney campaigns both brought in over $1 billion in fundraising, with Obama just edging out Romney's total. Of course, things will be much smoother sailing on the fundraising front if Clinton can lead the field wire-to-wire. Part of the division that occurred in left-wing circles in 2008 was a natural consequence of her alleged invincibility being punctured by Obama so early in the race, granting him a confidence and credibility with backers. And while I freely admit anything could happen, on magnetism alone there's not a Barack Obama in the current Democratic bunch. It seems, simply put, that Clinton ought to have a pretty clear ride to the nomination, absent any challengers who can really lay claim to being more electable than she is. And if that ends up being true, the entire primary season could turn into one long fundraising jaunt.